A major obstacle, [Krishnamurti] says, is when we misapply thought based on past experiences to a completely new challenge that demands to be looked at totally anew. Avoiding action that is wrongly dictated by the past is clearly often a problem for our political leaders. Freedom from the Known was compiled at the request of Krishnamurti and its title was given by him to its editor Mary Lutyens. During its editing Krishnamurti said to her that "If you have read this book for a whole hour attentively, that is meditation". At the risk of being accused of misparaphrasing Krishnamurti, I suggest that, similarly, listening to music attentively for an hour is meditation. Which resonates with my recent musings about repositioning classical music as a rejuvenating, as opposed to entertaining, experience. 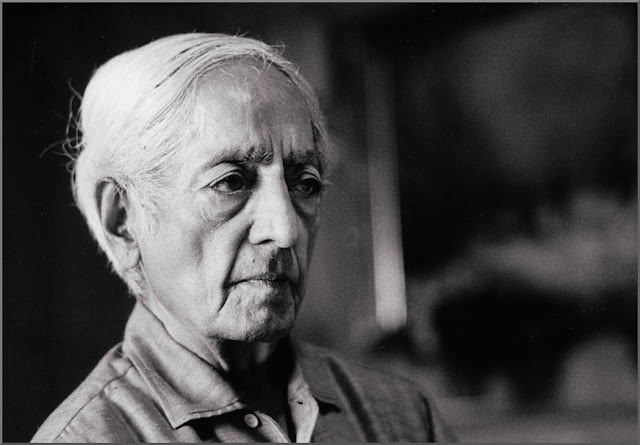 But the keywords in Krishnamurti's teaching, whether applied to music or reading, are for a whole hour attentively. The current obsession with accessibility dictates that virtual experiences take precedence over flesh and blood engagement. Which means masterworks are dissected to provide " snackable access to classical content", and music is now listened to inattentively - on the move via mobile devices, or in concerts where live tweeting and other distractions are encouraged. A reader commented on an earlier post that: " Listening to music, and I mean listening hard, alters the music, and preparing to listen makes it twice as strange. And wonderful". We don't need to change sartorial conventions, lighting, concert venues, or any other fashionable target. We just need to revive the lost art of listening. Via Facebook Lola Perrin makes the very valid comment that " So is playing it".